UPDATED — Msgr. Gregory J. Parlante, 61, former pastor of St. Cornelius Parish in Chadds Ford, was arrested Thursday, Jan. 25 for allegedly stealing money from church collections and using it to buy drugs and drug paraphernalia online. When parish staff subsequently cleaned out his desk May 30, they discovered a postal package addressed to him and discovered possible evidence of illegal drugs. Pennsylvania State Police executed a search warrant at that time to investigate the contents of the package and discovered drug paraphernalia consisting of clear plastic bags and straws, as well as a white crystalline substance. Later tests revealed it to be illegal methamphetamine – a highly addictive and destructive stimulant. During the course of their investigation and interviews with parish staff and volunteers, the police allege Msgr. Parlante stole approximately $5,500 in church collections from January to March 2017 and deposited the money into his private bank account. The affidavit of probable cause states Msgr. Parlante “was making his narcotics purchase using money from (his) account via various sources such as PayPal and other forms of electronic transactions” and shipping them to the St. Cornelius rectory. The Philadelphia Archdiocese and the parish have cooperated fully in the investigation, according to a statement Jan. 25 by the archdiocese. Msgr. 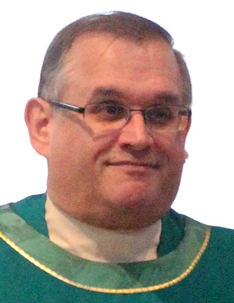 Parlante, who has been a priest of the archdiocese for 35 years and served as pastor of St. Cornelius for years, faces two misdemeanor charges — knowing or intentional possession of a controlled substance and use or possession with intent to use drug paraphernalia – and one felony charge, theft by unlawful taking or disposition. The current pastor of St. Cornelius, Msgr. David E. Diamond, communicated news of Msgr. Parlante’s arrest with parishioners at all Masses last weekend, Jan. 27-28. A preliminary hearing for Msgr. Parlante is scheduled for Feb. 8 before Magisterial District Judge Wendy B. Roberts in Glen Mills, Delaware County. Jesus came to care for the sick not the well. I feel so sad for this holy priest who must be suffering so much. Each morning I pray for all priests who need spiritual, physical and emotional healing. It seems that this priest needs prayer, support and loving care. Addiction is a sickness. Dear Jesus please heal him and Mary, Mother of Priests, please bring him comfort, consolation and your love. God Bless you Father! Addiction causes us to disregard our morals, ethics and reason. It grabs us by the throat and does not let go. Unfortunately we have to accept the consequences of our actions. As a member of 2 Twelve Step programs I understand the guilt and sadness and misery people go through in addiction. When I stopped trying to understand why I was an addict and started to study and work the 12 steps in both of my programs I became a much better Catholic, spouse and person. One day at a time I am arrested (not cured) as long as I maintain my spiritual connection with God. I thought I could do it on my own. When I ask God to help me get well He did and does each day. That is all I have to do, be abstinent in both my programs today and tomorrow will take care of itself. God bless Monsignor Parlante. A very grateful addict in recovery for today. I think it is truly sad that the “rectory staff” contacted the police rather than talk to Msgr. Parlante. The man obviously needs help and Christian compassion not public shaming. To be honest, I know quite a few Catholics, including myself, believe this whole situation might have been personal. If I was a new pastor coming into Saint Cornelius, I would want to hand pick a new rectory staff. Monsignor, please turn this into a positive… please come back to St. C and help everybody understand that addiction is real, It is in all our communities and does not discriminate. You can save lives and families. Be an advocate for awareness of our human fragility and the undeniable power of these drugs. Get well and God Bless! Tammy, this is beautiful. My husband and I have been friends of Monsignor’s from his time at Holy Name. He married us in 2002. We were heartbroken when he was transferred from Holy Name. We often made the trip to St. Cornelius because not only was he was a good friend and we missed him, but we missed his Masses and homilies. He is truly a gifted priest. Holy Name was in bad shape when he became our pastor. We were his first Parish to be pastor and his dynamic personality drew people to Mass. It was wonderful to see our Church full again. He rebuilt our Church spiritually and structurally. There are many people in Fishtown that love and support him. He has done so much for so many people it is our time to show him the love and respect he deserves and to keep him in our prayers. My family became parisioners at St Cornelius Catholic Church in 2003, and 2 of my daughters attended the parish school from pre-school thru 8th grade. The 1st time I met Monsignor Parlante, he was standing in the vestibule after mass, shaking hands and hugging parisioners, blessing children, and making eye contact with everyone. He had just been transferred to the parish, and I remember thinking how nice it was, that he made the effort to greet his new parisioners. He did that after every mass from the day he started there until the day he left. Monsignor Parlante loved our parish, and we loved him. His homily’s were so heartfelt, and his ability to bring everyone in the church together were truly a gift. The pews were full on any given Sunday, and no one minded standing along every wall of the church just to hear and feel his spirituality, and love of god. I volunteered in the school health office for 8 years, and I got to know Monsignor quite well. He spent time with ,and genuinely cared for the students at St Cornelius. My daughters still talk about the school masses, and how he encouraged their participation. The passion and love he brought to our parish will live in our hearts forever. This series of events was unfortunate, and I hope he doesn’t feel as if everyone has turned their back on him. Remember, he is just a man, a human being, just like the rest of us. What amazes me is how a staff would have the nerve to clear out his desk and than call the cops rather than speak with counselors and other professionals to get him help. It must have been obvious that he had so serious health issues and like so many millions in this country became addicted!! WHAT A LACK OF CHRISTIAN CHARITY!!!!! But in today’s Church it seems many have their own agenda. $ 5500 is what, less than 1 week’s collection. For God sake give him a break. I am sure it could have been handled better. JMJ,you are correct that covering up the crime would be illegal, but somehow that comment attacking the Church staff who reported, and basically advocating for crime cover up of both drug possession and theft, was cleared by the moderator. It it was Marijuana for medical purposes with cancer as an example that should be said this reads so much worse not knowing. I have been a friend of Gregs from 1st grade and will continue to do so. It is hard to believe he had to turn to something illegal to try to solve his problem. I know that this is NOT the Greg I have known all my life. Let all of us take a look at his problem, of course the illegal root is not the right road. Let us weigh what he has done with some of the other things tareing our religion apart. I’m sure his wrong doing is in a much duller light. Let’s have the whole story before we crucifie another good man of the cloth. My heart aches for this wonderful priest who made St Cornelius a church of volunteers. He formed ministries to help the sick, those unemployed, weddings and so many more. Thanksgiving Day Mass was so beautiful I wouldn’t miss it. When he was ill, he nearly died; we all prayed for him. I will continue to pray for him to get well. He brought so many people together in church we cannot forget all the good he has done. We are all human, flawed — we need to pray for God’s forgiveness and His grace upon us.